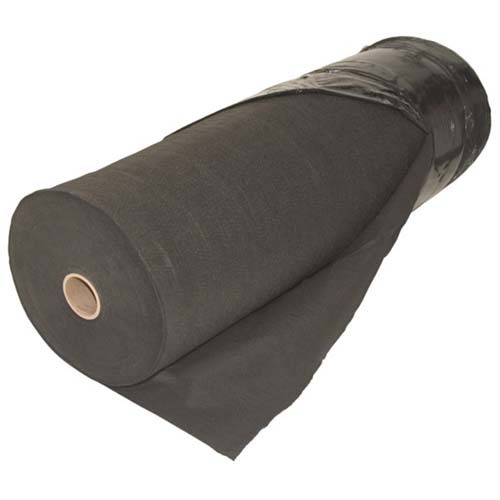 Pond underlayment fabric provides dependable protection for your your pond liner against sharp objects in the ground which can puncture rubber or pvc pond liner. Additionally, this heavy-duty 8 oz fabric can be placed above the liner in areas where large rocks will be placed on the pond liner. This will act as a cushion between the heavy rocks and the easily punctured pond liner. When installing a pond it is essential that an underlayment is used to protect the rubber or pvc liner from puncture from sharp objects below. Our pond underlayment is of heavy-duty grade and is available in a variety of different widths and lengths to suit different application requirements. If you are planning to build a pond in your garden, you want it to last, create beauty and not cause a maintenance problem. Building a pond and installing a liner actually quite easy to do, if you follow our techniques and tips. You might want to consult with a professional company that creates ponds for their clientele. Professionals know who to deal with weather changes and other natural factors in order to have a great pond. Before starting, know where the best spot is for your new pond. It should be located where there is full sun and an outside power outlet. Use a hose, marking paint or sand to layout the area you want the pond built in. Decide how many steps, or shelves, you want within the pond before digging your required depth. The purpose of these steps are to ensure there are exit zones, should an animal accidentally fall in and to use for plants. 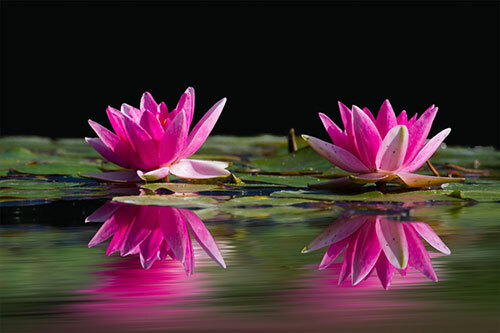 There are no rules as to how deep a pond should be, but the deeper the pond is, the easier it will be to maintain. That said, if you are creating a Koi Pond, their requirements are 1 to 1.5m deep. Before installing any pond, you must check with your local building codes office to determine if there are any requirements and/or regulations. Fish need a certain amount of space and if your pond is too small it just won't work out. Let's say you are going to have goldfish. If the pond is too small, they will be limited to their swimming area which is not good. Any sudden changes in water temperature and chemicals will also be dangerous for the fish. Goldfish can grow to 12-inches (30cm) and more. The minimum size of the pond should be 2.5m x 2m x 1m. Whether goldfish or other fish, smaller ponds are more affected by temperature change than larger ponds. Again, consult with people in the know before deciding on the size, your climate and the fish you want in the pond. You should hire a professional to dig the hole to your specs. Now that you have dug the hole, it's time to shape it the way you want it to look. You should, at this time, make sure there are no sharp objects, rocks or roots on the base or side walls. You can use a spade to clean up the hole and make it as smooth as you possibly can. By taking your time and doing it right will make the rest of the project so much easier to complete. Now that the hole is dug and shaped, it's time to think about the plumbing and electrical cable trenches that are required for the equipment. Pump cords and plumbing can rise over the pond edges and be hidden by capping, but unfortunately they will still be seen. Instead, use the Tradux from Oase which will allow the pipes and electrical cables pierce through the pond liner using a water tight seal just below the water line. Whichever method you choose, you should follow all the regulations set down for electrical power cables. If you are unsure, it's probably advisable you contract a certified electrician to do this for you. The length of any cable such as pond pumps and lighting should not be changed. You should consult with your supplier before cutting any cords or plugs. When looking into plumbing, you need to think about the filter you are going to use, i.e, pressurised or gravity fueled. At this time, you need to create a capillary barrier in order to prevent any run off from entering the pool and polluting it. This includes an products used in your garden such as fertilizers and pesticides. Start by digging a 15cm wide x 15cm deep trench around the outside of the pond, approximately 25cm from the pond's edge. Now that you have completed the above steps (the barrier and trenches), it's time to figure out how much liner material you are going to need. Run a string line from one end of the pond to the other, make sure the string stays in contact with the ground and contours of the pond. Then remove the string, pull it taunt and measure it. This will give you the length needed for the liner, but make sure you add an extra 30 to 50 cm for overhand and placing it into the capillary barrier. You need to do this step for both the length and width of the pond. When you purchase the PVC or EPDM rubber pond liner, you should also purchase the same amount of pond liner underlay. You must have a pond underlay to create a protective barrier between the ground and the liner. This will reduce any chances of roots or rocks poking through the liner. A great tip for installing the underlay is to wet the underlay to keep it from blowing around while installing it. Roll out the lengths so you have total coverage of the pond's base and side walls. If you have large folds or double overs, this is the time to trim them so you will have a neat lining without any lumps or folds underneath. Use tent pegs, to hold the top side walls in place. You could use sand to protect the liner, but it's not practical as the sand will not adhere to the walls of the pond and is actually more difficult than using an underlay. Now that your underlay is in place, it's time to install the liner. The liner is directly laid over the top of the underlay and pulled taunt. 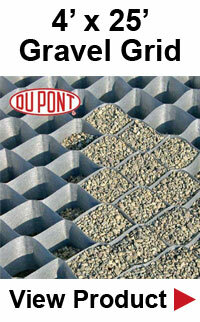 When laying the liner across the pond, be sure it's resting on the bottom, walls and shelf edges. Place Smooth rocks along the edges to keep it in place. Slowly fill the pond with water and move the rocks back, as the pond fills. You will experience pleats forming along the corners and curves, smooth them out as you go around the pond. Any adjustments needed should be done while the pond is filling. This will offer enough weight in order to pull and adjust the liner without having too much weight for moving the liner. Once the pond is full, it'll be too late to make any adjustments. If done properly, there will be little visibility of flaws once all is done. Now that the liner is securely in place with the weight of the water, it's time to finish off the edges and trim any excess liner and underlay. You want to trim the liner so the edges are placed in the capillary barrier and weighed down with pebbles that will fill the pond. After the liner is completed, you can fill the trench with pebbles which will allow garden run off water to bypass the pond and continue on its own course. Bog plants can also be planted in the capillary barrier and any excess liner material can be place under any large rocks that you might want to place in the pond. The left over liner material will give added protection from the rocks. There are many wonderful products on the market to give your edging a nice, professional look. Natural stones, wood or paving are just some suggestions and will depend on what you want your pond to look like, very natural or very decorative. Keep in mind, people will be standing on the surface so make sure the material underneath is strong a sturdy. The water of your pond should be constant year round and this will be determined by the volume of water. If you have a small pond, the temperature will rise quite a bit in the summer months. Freezing winter temperatures will kill your fish. Your pond's water temperature is affected by the surface area. Large ponds have a larger surface area in relation to depth and are less affected by temperature changes. It's a good idea to have a variety of small plants that will peak above the water. Surface spreaders are great because their leaves will spread out over the water while aquatics will remain totally submerged, for a very natural look. Only a third or two-thirds of the pond should be covered in plants, but keep in mind, if you are creating a Koi Pond, Koi will eat these plants! If you are creating a Koi Pond, you can still have plants by using floating rings that stay on the surface and will protect the plants. It's also recommended that the pond establishes itself before introducing fish. If you can't wait that long, purchase a water conditioning treatment such as our Clearpond Biostarter. If you decide to condition the water instead of waiting, you should only introduce a few fish into the pond. Otherwise, you could shock the pond and harm your fish. Additional fish should only be added every few weeks until you have the desired amount. As a rule of thumb, you should not add more than 1 kilogram of Koi fish per every 1,000 litres of water or 2 kilograms of Goldfish per every 1,000 litres of water. Keep in mind, the more fish you place in your pond, the larger your filtration system will have to be. Hopefully this information for building a pond will be a great help. If you follow these steps, you can have the perfect pond of your dreams. We welcome you to explore our website for other great project ideas and excellent tips. Learn about our top of the line products and techniques to maintain your pond and keep it looking as great as when you first built it. Adding a pond to your garden or backyard will add a very wonderful landscaping touch that you and your family will enjoy for many years to come. By following good maintenance, regularly, will guarantee your pond will look as good as new and your fish will thrive. If there are steps that are over your head, hire professionals to help out. If not done properly, you could end up with a mess on your hands. Talk with professionals to get good advice and guidance.